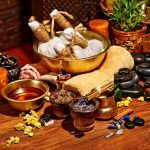 Ever since its beginning – so say the medical teachings of Ayurveda – our world has consisted of five elements: ether or space, fire, water, air and earth. These ingredients make up everything – including, of course, the substance of each human being. A person is a microcosm of the world, and so all of these elements show up in the human body. But from birth onwards, the different elements are appear differently in every individual. Every person is endowed or burdened with special mental and physical strengths and weaknesses. The type which someone belongs to arises from the mixture of the three doshas: Vata, Pitta and Kapha. What makes a Kapha type tick? 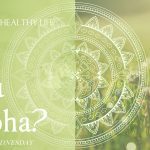 What defines Kapha? It comes from the elements of water and earth. Both are considered a shaping energy. In the human body, Kapha regulates the building of structures, and is important for agility and stability. If Kapha is balanced, this should provide peace and love. If there is an imbalance, this could encourage cravings, colds or weight gain. What supports and what disturbs the balance? The seasons of winter and early spring strengthen Kapha. All fatty, heavy or fried foods – especially sweet dishes and milk products – should be avoided by those who belong to this type; go for light, sharp, bitter and stimulating foods instead. Also good: avoid snacks and eat a simple soup or steamed vegetables in the evening. Kapha is associated physically with fluids. 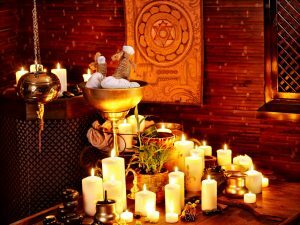 An excess of Kapha often leads to lethargy, heaviness and listlessness, while on an emotional level it can cause disharmony, melancholy or depression. Kapha becomes imbalanced when the body has accumulated too many toxins. 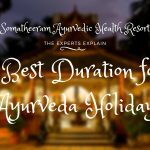 Want to experience Authentic Ayurveda? Visit our Ayurveda Retreats!